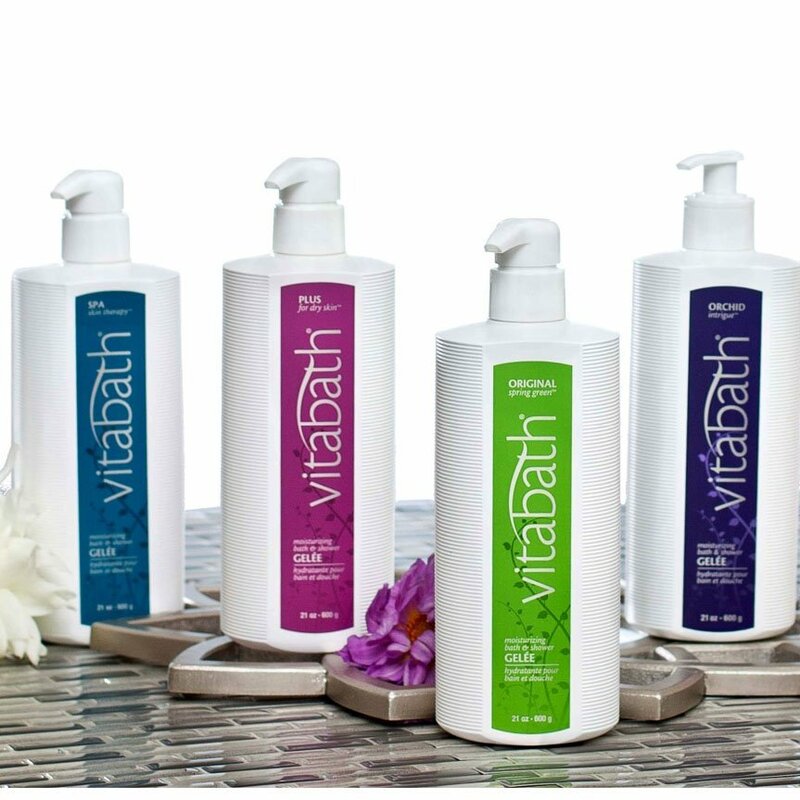 Vitabath shower gels transform an ordinary bath into a wonderful spa of lather and fragrance. Choose from many delectable scents including the best selling Original Spring Green, and other popular classic options such as Plus for Dry Skin, Spa Skin Therapy, and Fresh Citrus Twist. In the mood for something fresh and unique? Then try some of the new Vitabath experiences, such as Cupcake Couture, Fruit Fanatic, In Bloom and Spa Day. Whether you're in the mood for an ageless classic, or you have a yen for the new and novel, rest assured that your Vitabath products will nourish your skin with the most beneficial vitamins and fragrant botanical extracts available. Vitabath shower gel is also called "shower gelee". There is no difference between Vitabath shower gel and Vitabath gelee as they are the same thing!